Yes! Your partner will be blowing off your phone, trying to apologise and win you back (Ps. If they are not, then they are clearly not interested). It would be very tempting to brush everything under the carpet and just carry on like nothing happened but I wouldn’t advice it. Take your time, don’t be put under pressure by your partner’s grovelling or your friends’ opinion on what’s right or wrong for you. Your emotional and mental wellbeing should be priority. If i am putting on loads of weight, i want my partner to tell me….what about you?? ​​I have been seeing a lot of debates lately on the topic of ones other half being afraid to tell them if they feel they are putting on weight. The most popular reason for this being the fear that their partner will take it in the wrong way, therefore this topic is often perceived as some what of a taboo subject. Some would rather their partner just tell them how good they look regardless of weight gain and how much they adore them whilst others would like to hear the truth…which would you prefer? Okay, so hearing the words “babe you have put on weight” is not the most exciting thing to hear. Reality is the majority of us myself included would take it negatively and not constructively. This is where the term “it’s notthe what you say it its how you say it” comes in to play. If you are genuinely concerned about your partners weight you need to approach the topic sensitively and politely. Ensure you let them know you love them and are still attracted to them, because they need to know this. At this stage paranoia may start to kick in and all sorts of thoughts may be going through their brains like does he/she still want me, this is time to reassure them. Let them know that you are just thinking of theirbest interest and are willing to both encourage and join them in any necessary steps to loseweight or live a healthier lifestyle. Wether it be joining the gym together or cooking healthier meals together. Moreover you need to always bear in mind that as much as you try tomotivate them, you should not pressure or force your view on them. They need to want to lose weight and ultimately the motivation can only come from them. Personally I would like my other half to tell me straight if I am piling on the pounds and I woulddefinitely tell him if I thought the same in regards to his weight. I as an individual would rather someone who loves and cares about me brings it to my attention of course in a caringway. If I am putting on weight I definitely know it,but have probably put it off. 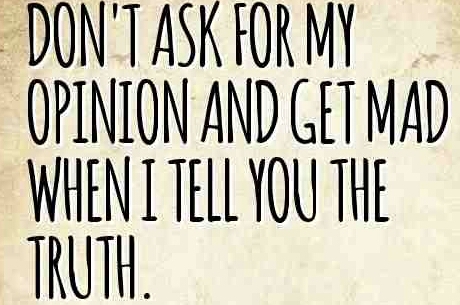 However hearing it from someone so close,may be the kick in thebutt I need. I for one and I am sure I am not alone spend so much time asking my boyfriend, “babe have I put on weight?” So should I ever besurprised if I hear the words YES, if I genuinely have put on weight, or should he lie to me and spare my feelings. 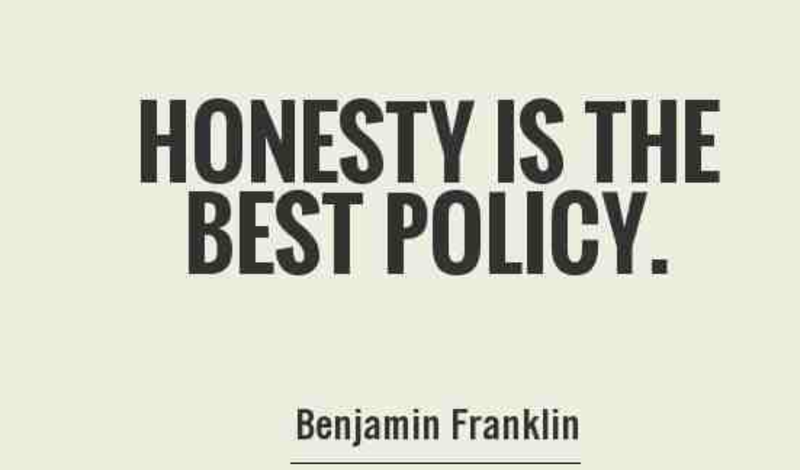 I go with honesty. Don’t get me wrong the words YES might, well definitelymake me feel s*** but at least I know he kept it real with me. Just like everything there is a way to address an issue such as this. There is a nice and concerned way to tell your partner “babe I think you’re putting on a bit of weight, and I just wanted to be honest with you” and then there’sa very insensitive way to address it such as making jibes at his/her weight gain during an argument, that just aint cool. To close as long as you know your partner is not saying it in a malicious way it should not cause lasting issues in the relationship.That is not to say that you wont be upset hearing the words, but maybe try to think past the negative and think of the positive. What I do strongly believe is that you should never mock or use it as low blow during a disagreement as that is when it will become a very big issue. 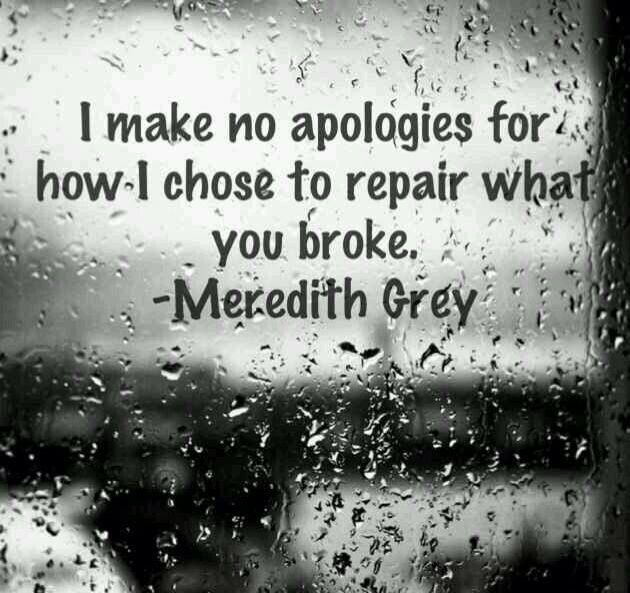 If you love someone you would not use something such as there weight as something to use against them you will instead support them and help them in any way they need to be helped, be their support system and always remember honesty is the best policy!! 3months till goal weight! Unrealistic or doable? So i havent stepped foot in the gym since April, for no reason other than i became lazy and could not be bothered quite frankly. I am a person that believes in order to go the gym i need to be fully focused and motivated and i was neither of the two so i decided at the time to terminate my membership. However its a new year, i have decided to restart my membership and smash some of my personal fitness goals. My birthday is in April which is 3 months away, sounds so near and maybe unrealistic but thats when i plan to reach my goal body. So i am quite happy with my body, but just like most people i have flaws that i would like to work on and tone.i would like to tighten up my stomach and other areas. My main problem area is fat around my hips/sides/waist or as some like to refer to is as “love handles”. They are not extreme but could definetly do with some attention. I also want to get my body fat down to what it was early last year ,which was 20%-22%. As of now its 32.5%. 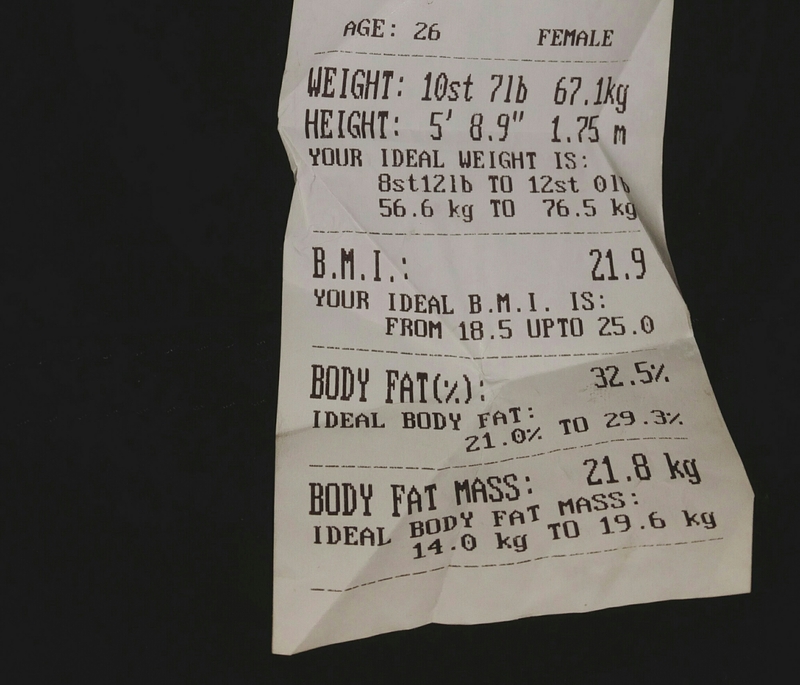 Current weight, bmi,bodyfat and body fat mass pictured just below. In the last couple of months its been juice or fizzy drinks which i plan to now cut out. I plan to drink strictly water or smoothies for the next three months. of course if its a special occasion i may have a cheeky alcoholic beverage or two lol. I am so excited to start drinking smoothies mainly because i can pick and choose exactly what goes inside it. 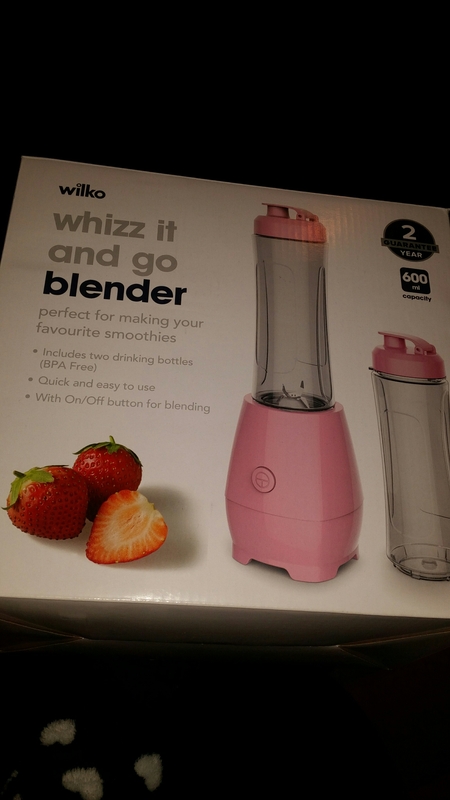 I happened to walk into Wilko also known as wilkinsons and found this blender at a bargain price of £10.i love the colour and the fact it comes with two drinking bottles. I plan to incorperate a different fitness class a week into my routine. I plan to switch it up so i may try an aerobics class one week and a legs,bums and tums the next. I will do this simply so i enjoy the process and at the same time get to try something new. I eat way to much junk food mainly crisp and sugary sweets. I am totally in love with the bubblegum flavoured cola bottles, once i eat one all self contol goes out the window. During these 3 months i will eat limited snacks by this i mean criso or buscuits twice a week. I plan to cut sweets out xompletly during this time. okay everyone who knows me knows i love a cheeky nandos lol and i definetly dont think i can go without it for 3months and i have know intentions of doing so neither. However i do plan to cut down on take aways and limit them to social nights with friends/family/date nights with other half. I will not order food when i am feeling lazy to cook insted i will a cook a high protein, low carb dinner. I am doing this strictly for me !! I will post progress pictures at the end of every month. (Guest post i done for The90sbaby show) Should your other half post you on social media?? ​Should your partner post you on social media? 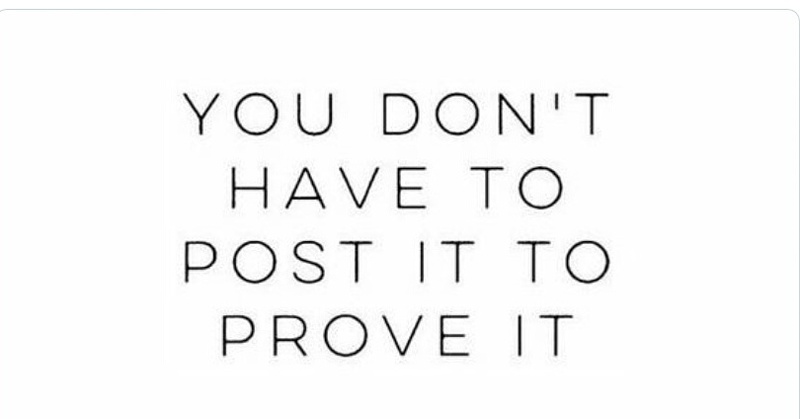 We also have to remember that when people see your relationship on display on sites such as Instagram and Facebook they do tend to start being nosey and trying to get all up in your business. If you put your relationship out there, your followers start to feel like their automatically part of it and can start throwing out unwanted opinions. As sad as it sounds social media has ruined relationships in the past. I think a lot of the reasons behind a person wanting and expecting to be posted has a lot to do with them feeling accepted and it gives them a sort of ego-boost. We all want to feel like our partner wants to show us off myself included. So do we really want our partner to post us on social media for the right reasons or is it simply to feed our own insecurities, it’s something we need to think about. Christmas is 2 weeks away and I’m just sitting hear like where the hell did this year go, like seriously?! So bearing in mind the festive day is fast approaching I decided to write a blog post in relation to gifts and how to pick the perfect gift for your other half/someone your dating. I am sure this sounds cliche and I’m sure you have heard it before but it’s not the price of the gift it’s the thought and effort that counts. I mean you can stretch the boat out a bit I just mean try not to over do it. Many people save and save even do extra time in order to afford the priciest gift. News flash the person may not even like it. Don’t let price be the driving force when choosing a gift. Maybe even try inexpensive and thoughtful. I’m sure the length of time you have been in a relationship or have been dating someone is a factor when choosing a gift. If you have been with someone for a short time I would say there is no harm in buying them a gift, nothing too big that scares them off though. Obviously in a longer relationship you would have established there likes and dislikes which may make it easier when choosing something. Throughout the relationship you should be able to get a feel for what your other half likes. There sizing and the colours that most appeal to them. You should be able to go into a shop and think wow so and so will like this outfit is up their street. This time of the year can show how much attention you have been paying. Of course if this is a short term relationship it may be difficult to know. This sub title is very much self explanatory do not leave it to the last day to buy a gift. Don’t find yourself having to buy the last toiletry gift set on the pharmacy shelf. I know it’s the thought that counts but some sort of effort needs to be made or maybe just don’t buy a gift at all. There is plenty of days in the year to purchase this gift and the 24th December is not it. I was previously going to do a list of recommended gifts for him and her but I chose not to based on the fact that I thought my ideas may be biased and lean towards gifts I think my partner would like. 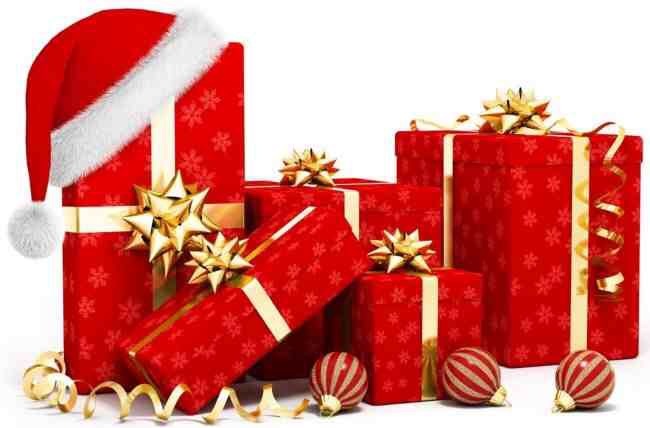 Only you know your partner and what they like so my list is likely to be of no significance and also defeats the purpose of this post which is to encourage you to put a lot of thought into the gift. Im sure most of you have already bought your partner a gift and I’m sure it’s fab. If you haven’t yet then get to it 🙂 Remember not to over do it just go for something you know they will both love and appreciate.